Invisalign: Alternative to Metal Braces? Cost, Results, etc. Remember when braces meant having your teeth wired with uncomfortable metal brackets and wires that cut your mouth up like a cheese grater? Well, today you’ve got an alternative option in the form of removable braces. Invisalign is a brand of removable orthodontics (similar to a retainer) that is designed to provide the same orthodontic treatment with enhanced aesthetic properties. Dubbed as “invisible braces,” Invisalign offers an attractive alternative to orthodontic correction for people who are too embarrassed for braces. Shouldn’t I Just Get Normal Braces if I Want Straighter Teeth? If it ain’t broke, don’t fix it. Traditional metal braces are an excellent orthodontic option for straightening teeth. In fact, there are certain orthodontic conditions that cannot be treated with Invisalign. Such cases still require a more traditional orthodontic approach. However, the idea of having a fixed appliance in the mouth for a year or more is enough to turn some people off. Enter clear aligners like Invisalign. Crowding: Teeth may not have enough room in the jaw for a comfortable fit. This is turn affects smile aesthetics. Invisalign can help correct spacing. Gaps: Conversely, too much space between the teeth can be an even greater aesthetic concern. Fortunately, Invisalign also corrects teeth that are too wide apart. Malocclusion: A “bad bite” can often be corrected with Invisalign. However, severe cases of malocclusion will require braces. Invisalign can even be used to supplement traditional braces treatments that may have relapsed somewhat. Speak with your dentist or orthodontist to determine whether your orthodontic condition is treatable with Invisalign. DID YOU HAVE AN INVISALIGN TREATMENT? Although the duration of Invisalign treatment depends on each unique circumstance, patients can typically expect to see results in 10 to 12 months. 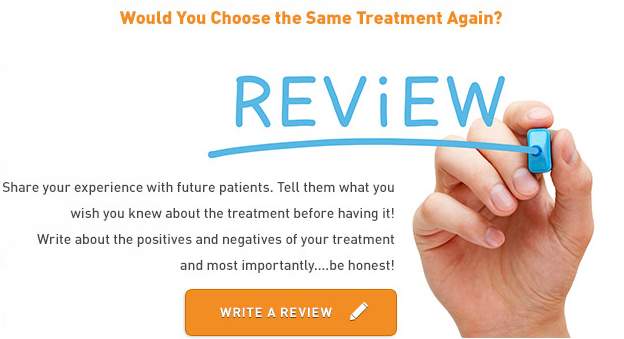 Patients should understand that orthodontists aren’t the only Invisalign providers out there. Align Technologies – manufacturer of Invisalign – works directly with dentists to train them with Invisalign. Although certification is widespread (more than 25,000 general dentists in the United States), it should not be assumed that any orthodontic provider can offer the treatment. If an orthodontist does not offer Invisalign, he or she may stress the benefits of traditional braces as opposed to Invisalign treatment. If you are truly interested in an Invisalign orthodontic solution, you should research certified providers in your area and setup a consultation. Invisalign Cost: How does it Stack up to Braces? If you’re banking on the Invisalign cost being a cheaper alternative to traditional braces, then think again. The price of treatment with Invisalign aligners can cost as much as $5,000, putting it on the same cost scale as its traditional orthodontic counterpart. Much of the cost associated with Invisalign boils down to the fact that it is essentially invisible. This added aesthetic component makes for a huge selling point. Keep in mind that Invisalign may actually be covered by your dental insurance provider. Assuming of course that you have orthodontic coverage, which isn’t always the case. More often than not, people tend to opt for cheaper dental insurance options that cover the basic routine treatments.